In truth, these days I mostly eat raw vegetables, chopped just small enough to fit in my mouth, without dressing. Not for any kind of puritanical food ideology, but because it’s fast, cheap, and clean. But when I go to Italy, I want food culture. That means, intervention. Cheese. Cuisine. Ingredients. Tradition. I would also like to have candlelight, but apparently the Argentine preference for headache-inducing overhead lighting so the waiters can keep an eye on you is straightup traditional Italian. So anyway. So there we are under the stage lights, which certainly does make it easier to read the menu. 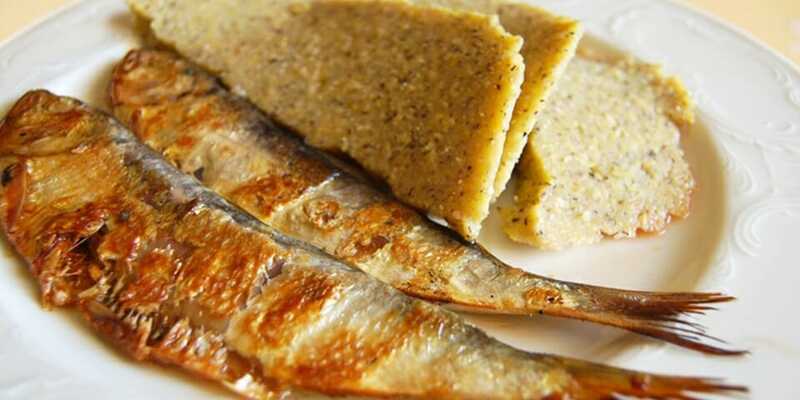 I looked for the “typical rustic polenta” of this region, and lake fishes, like in the photo. Host our guests with spontaneity, simplicity and gusto…Indeed our first aim is to research natural and tasteful products. Therefore we love travelling in order to discover local artisans who work with passion and patience and are not likely to accept the compromises of the large-scale production. We have known them for quite a while and we regularly visit their realities. This has enabled us to build solid relationships based on mutual confidence and respect…According to our philosophy, it is very important to enhance the tradition and culture of Italian gastronomy through the choice of genuine products: our cured meats are free of artificial preservatives, our cheeses come from local producers who breed their animals respectfully and all the ingredients we use in our kitchen are from organic and biodynamic agriculture. Judging by the cheese and charcuterie plates, the ingredients were indeed of superlative artisan quality. But the cooked food was inedible. Because they did not meet a trained chef between the farm and our table. Beautiful lake fish and fresh pasta overcooked, oversalted, unrefined. The passionate serving staff did provide lectures about the commitments to culture, region, and producers. But we were hungry, and unfilled by lectures. Nature is abundant. Agriculture is the craft of husbandry to nature. But the human-nature interaction doesn’t end there. The farmers’ bounty needs further care. Cellaring (of wine, cheese, and preserves) is a skilled and necessary craft. “Technique” are the methods for eliciting the ingredients’ best flavor, adjusting to seasonal and daily changes in ingredients’ character. A chef is not enough without ingredients. An ingredient is not enough without a chef. And a restaurant is not enough with only ethics (or candles, for that matter).